One of the forum trolls decided to have an untroll moment and make an idea thread for increasing the player base as a whole. One common theme that I read was ownership. It was not spoken as a concept on its own but it was applied to various things. I thought, maybe ownership as a whole is more important than the various things that we can own. People are invested because their stuff has value due to it being gone when it is lost. What you earn you can lose and the effort becomes all the more precious for the possibility of loss. I started writing this little thought blurb earlier in the week. I'm amused that a blog banter about it has also started. Home in space is as comfortable as slipping into your favorite ship. I adore the concept of sov null. Even thought I do not wish to live there (bubbles) I am intrigued by it. I look at the Sov Map daily and read the changes of ownership for systems. I have no idea who most of the groups are. I’ve spent a lot of time listening to discussions about null sec and its politics and the way that it is run to have a rudimentary grasp of why space shifts hands as often as it does. There are those that say that they don't care about their Sov, but I believe deep down people do. Even if loss is not the end of things there is no reason to hold it without wanting to hold it. Sure, systems can be groomed and nice things can be done but Sov is a lot of work. But the reward is having a 'house' that is all yours. It has your name, it has your things, it is laid out as you want. But, the concept of ownership is not limited to Sov Null. Wormhole dwellers own their systems. They defend them. They fight for them. The do things to make them safe. They sometimes lose them. 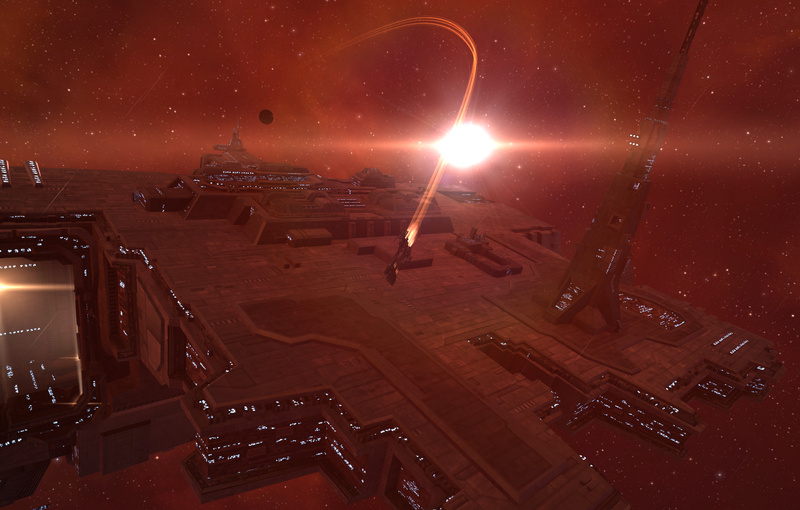 There are mercenary corps that waged war in wormhole space to clear out wormholes so that new residents can move in. Even though they live out of POSs and Orca and their systems have no static stations and they may lose everything, they have a home. They may not have a name attached to them but they have a defined place that they live in. In Low Sec Space we have home systems. Not often do two groups live out of the space piece of space. The Molden Heath Pirate war vs Eve University started when Eve University moved into the home system (and station) of one pirate corporation. This also put them next door to another and 4 jumps away from two more. There were many factors involved in that engagement but if they had moved into one of the empty stationed systems in Molden Heath the fires of war might not have swept across the groups as the Pirates combined and showed the focus and motivation that many think they lack. In High Security space corporations have homes. They have POS to manage and belts to mine. They have worked to improve standings with various NPC corporations to perfect their refinement rates and allow them to secure their POS. Mission runners often have hubs that they work out of that are stocked with what items that they need dependent on how they work. Even Traders have their home systems. Many may live in Jita but there are 4(5 if you include Hek) well known high sec trade hubs with a steady and stable population of traders. The hubs themselves are their homes. 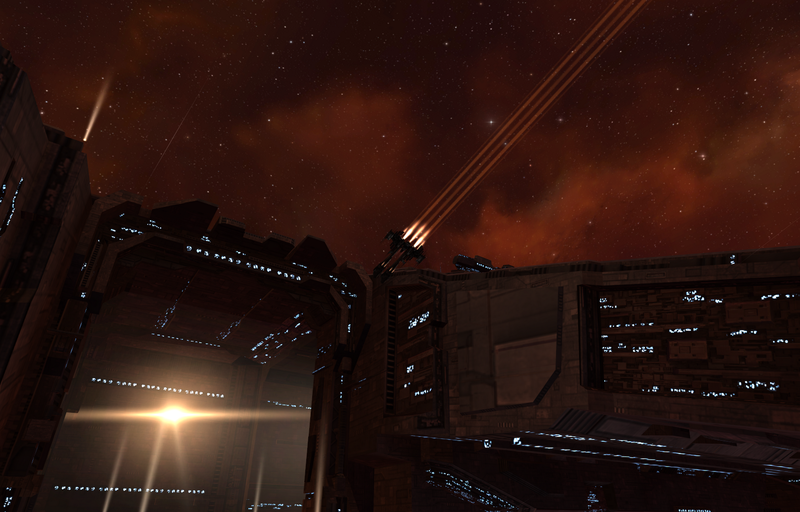 Even though only Sov space holders 'own' their house, ownership and a sense of physical place is very important in Eve. One of the questions presented was should there be more layers of player ownership through the game beyond Sov Space. I think the desire for a house to call your own is great but that it would devalue Sov Space if true, tangible ownership existed elsewhere. The composite ownership created by the natural desire to have a place to rest is great enough that players create their own homes without any support from the game mechanics. "They are outside of our station." "Fleet is released, everyone best speed home." "This is our home system." "Red space is the best space." "Back when we lived out of..."
5. the place or region where something is native or most common. Home is comfortable. Wars may rage and stuff may explode, but there is a place where a player can settle down. It may not be safe it may not be smart but it is satisfying all the same. It may change and it may move or for some there can only be once place that qualifies. But it will always be home or that place that you live. Your docking request has been accepted. Your ship will be towed into station. This really got me thinking - I've read about CCP Soundwave's proposed POS reboot where he talked about creating a system of POS ownership that would be more akin to player housing and something everyone should be able to own. Is this what you were referring to when you wrote "the desire for a house to call your own is great but that it would devalue Sov Space"? If so, I have to disagree. 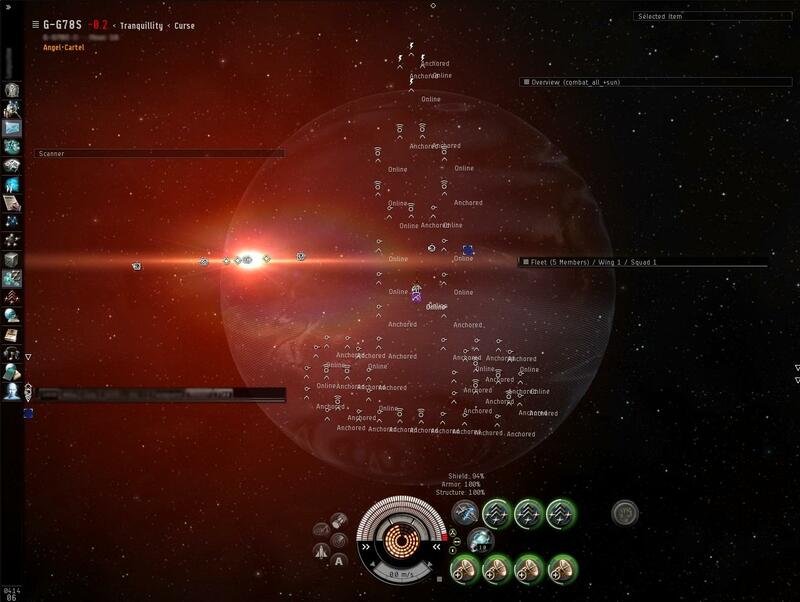 As much as I appreciate that null-sec is perhaps supposed to be the most "feature complete" portion of the EVE Universe, it's too intransient for many to consider making that kind of investment. After all, would you want to build your house in the Gaza Strip or Afghanistan? Personally I'd like to see a scaleable system with attractive options catering for the nature of the type of system. The present POS system does this well to an extent - only 0.3 systems and below allow the full range of POS installations and owning a POS in high-sec requires good standings and addition rental costs to the sovereign NPC empire. I think a new "real estate" market across all of New Eden would be a potentially exciting new sandbox element. Of course, I appreciate that it would need to incorporate some kind of balance. It's great to discuss though. I was not referring to the POS topic at all. I forgot about it although I like it as a concept. I meant people who have discussed having smaller forms of ownership in low sec or high sec or more defined ownership in wormhole space. Basically that owned by line under the system name is important and to give it to anyone other then Sov holders devalues it. Wormhole space is about the only space I could see having something a bit more tangible then screaming 'mine' in local. Also, I've just realised that you already posted a link to the banter, so apparently my reading comprehension is leaving something to be desired today. Doh! Jester has written about "sov by occupancy" before, and I agree wholeheartedly. The current mechanism of "shoot structures for sov" is pretty lame. There's vast swaths of "claimed", but unused space, the only reason for there even being a claim is so that the holders have "early warning" if someone tries to set up a POS or other foothold in their turf. Otherwise, the space is unused and essentially "fallow", unless rented out to some more schmoes. "Sov by occupancy and use" as what _actually_ happens in NPC-null and lowsec, is a much better system, that actually would allow smaller alliances to get a foot in the door and not be immediately crushed outright by huge sovholding entities with NAPfests covering half the "globe". It would be a huge boon to PvP, especially smaller-scale fleets and small-gangs. As for holding sov, it is, as has been explained to me a couple diff times and a couple diff ways, a "means to an end". -A- has been pushed back to NPC null before, and bounced back from it. 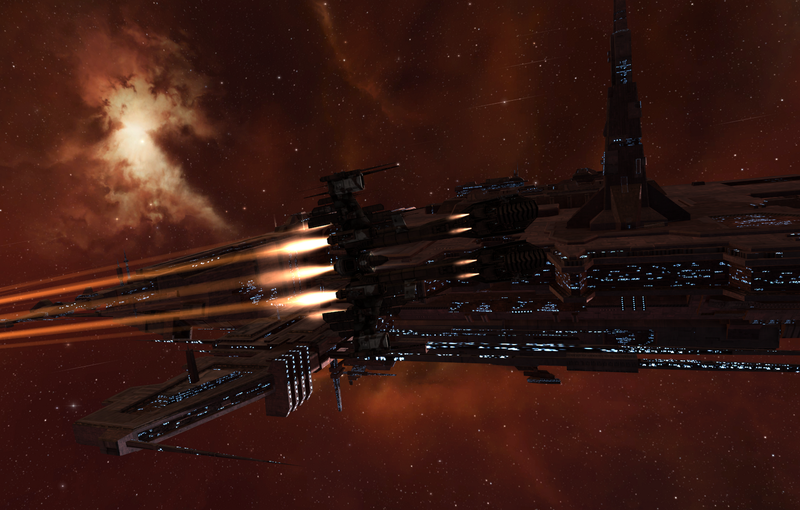 Nulli has bounced all the way back to lowsec and FW to recuperate and get back in the "big fleet sov-pew" game. But actually "holding" the space isn't the point, as so little gets truly _used_, it's more about creating a "buffer" zone between your neighbors and you, and as I said, early warning of staging POSes, etc, going up. What DOES get used, is mostly for moons, or by renters, who pay thru the nose for the privilege of running sanctums and havens in _relative_ quiet, and help fund the reimbursement programs for the "l337 PvP" sovholders.